Read on to learn more about the pros and cons of electric toothbrushes versus manual toothbrushes to see if upgrading makes sense for you. Research has shown that those who use electric toothbrushes in general have better results for cleaning their teeth. While the difference isn’t massive, it does mean that electric toothbrushes have the edge when it comes to maintaining great oral health. Certain types of electric toothbrushes, specifically those with oscillating heads, perform the best. Make sure to do your research before you purchase any toothbrush to find out if it’s right for you. The dentists at Pointe Dental Group can help you if you have questions. The primary reason that electric toothbrushes outperform manual ones is that they can help make sure you’re brushing correctly. Because they do most of the work for you, you don’t need to worry about maintaining even pressure and going side-to-side like you do with a manual toothbrush. You simply press the brush to your teeth and slowly move it across every surface of your mouth. Additionally, almost all modern electric toothbrushes come with a device to help with your timing. Proper brushing requires that you brush for two minutes to ensure you fully clean your mouth. Not only do some toothbrushes alert you to when two minutes are up, they sometimes include small buzzes at certain intervals to help you brush evenly throughout your mouth. This can help prevent you from overbrushing – which is one common dental mistake that leads to wearing down your enamel! 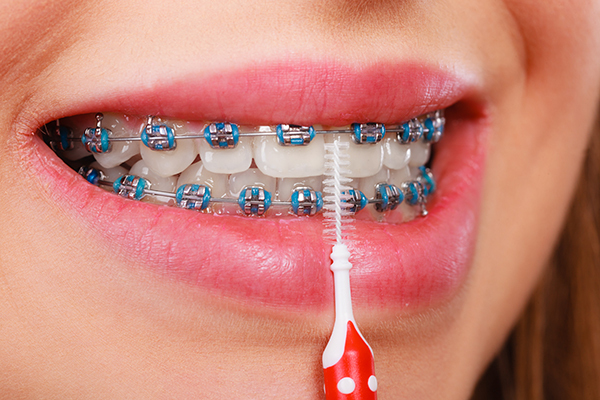 Do you wear braces? One common concern that new orthodontic patients have is new difficulty when brushing their teeth. The last thing you want when improving your smile is to start developing cavities! Electric toothbrushes offer unique types of brush heads that are ideal for cleaning hard to reach places, like interproximal brushes. Not only can these be used to help clean around your braces, they can be used to supplement flossing and brushing for the most difficult surfaces in your mouth. Are electric toothbrushes better for those who have trouble with fine motor control? Absolutely! Unlike manual toothbrushes, electric ones require very little movement. All you need to do is move them across the teeth and gums slowly! This makes them ideal for those who are older or individuals with unique dexterity limitations. No matter your circumstances, it’s critical not to let your oral health degrade! There’s no denying that “simple” is the name of the game when it comes to traveling. Manual toothbrushes let you keep your teeth and gums clean without needing anything other than a source of water. They’re typically smaller, lighter and more convenient to store when moving from place to place. Toothbrushes frequently need replacing. Whether the bristles have worn, you dropped it on the ground or lost it completely, you’ll purchase several throughout your lifetime. When it comes to replacing a toothbrush, manual ones are cheap. They’re only a few dollars and almost any name-brand toothbrush will do what it needs to do. In addition to being cheap, you’ll be able to buy manual brushes anywhere. Convenience stores, drug stores and grocery stores are everywhere – and they almost always have a small selection of quality toothbrushes. When shopping for an electric toothbrush head, you need to find one that’s compatible with your base. Not every retailer will have what you need! 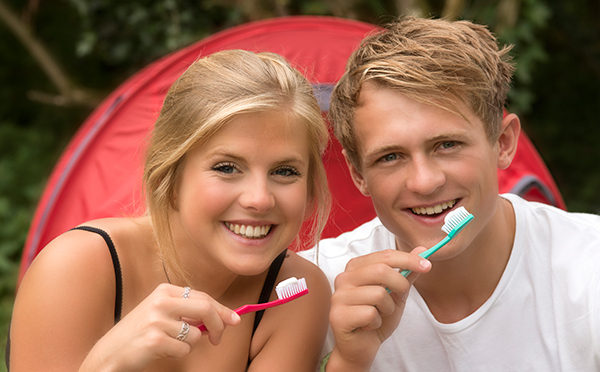 If you’re taking a week-long camping trip to the mountains, you’re unlikely to find a place to plug in your toothbrush. Manual toothbrushes don’t need anything besides your muscles to get the job done. Even if you’re camping in an RV with power, you always want to conserve that electricity for when you need it. Electric toothbrushes cost more to use. Even if you’re just replacing the head! There’s no denying that their convenience comes at a premium. If you’re extremely money-conscious, you may consider the extra price for a powered toothbrush to be incompatible with your finances. If you travel or are just forgetful, you can find yourself with an oversized paperweight when your toothbrush runs out of power. Most name-brand electric toothbrushes require a few hours to charge when they’re completely drained. Even if they have power, the motor can start to weaken when it’s running low, providing a less-than-adequate clean. It’s not common for them to break, but they do. You’ll most likely just replace a broken electric toothbrush, which means technical issues bring you right back to their expensive costs. You may be surprised to learn that you can brush your teeth incorrectly. Manual toothbrushes can be challenging for children or adults who were never taught how to brush properly. Using too little or too much pressure can leave your teeth at risk. Many people brush too quickly, leaving bacteria and plaque on their mouth that a timer from an electric toothbrush could correct. So, are electric toothbrushes better than manual ones? It all depends! If all you care about is keeping your teeth cleaned, either type of toothbrush will work for you. While electric toothbrushes can offer a marginally more efficient clean, their real benefit is from convenience, consistency and additional features. For those who want to ensure they or their children are achieving the best clean without worry, an electric toothbrush can take much of the guesswork out of dental care. This entry was posted in Dental Tips, General Dentistry and tagged oral care, Tooth Decay, toothbrush. Bookmark the permalink. Follow any comments here with the RSS feed for this post. Both comments and trackbacks are currently closed.